A one hour 45 minute flight from Bangkok to Penang in Malaysia, where we stayed for four nights. Then a two hour flight east to the Malaysian part of the island of Borneo, specifically the area of Kota Kinabalu, where we stayed for four nights. 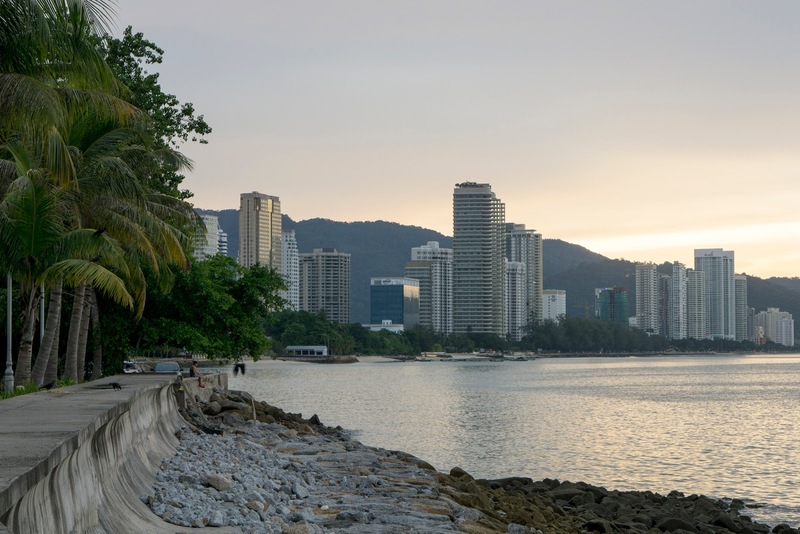 I didn’t even realise Penang was a whole state in Malaysia rather than just a city – and an island at that – until we were coming down to land on it. Such is my shameful lack of research into the place, and the country as a whole before visiting. (Actually, the island is only half of the state of Penang, the rest of which is on the mainland. But people who visit tend to stay on the island part). All I knew about this stop was Malaysia is a Muslim country, and Penang has great food. I didn’t really know what to expect from the former (I was hoping for some good eating from the latter), or what to expect from Malaysia full stop. I certainly hadn’t anticipated for it to be as developed as it is. 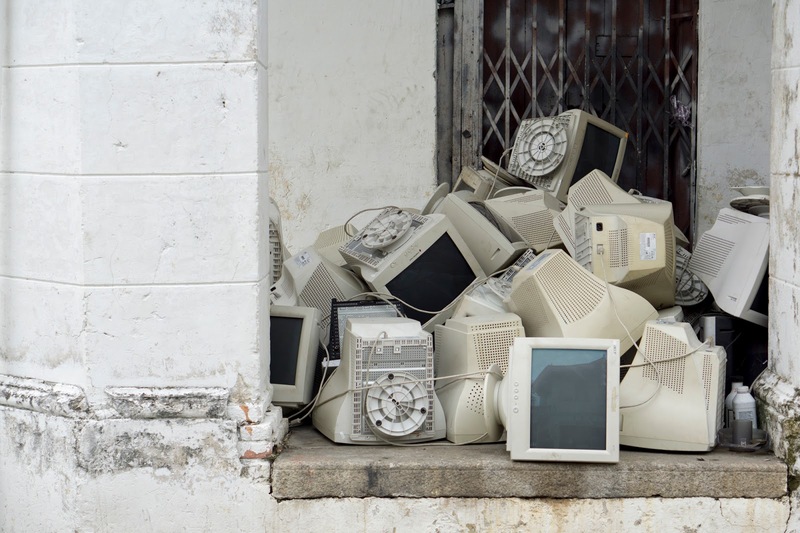 It’s closer to the order and solid infrastructure of Thailand, when I had prepared myself for something along the lines of the manageable chaos of Vietnam. But the most prominent observation of all, and one you can’t miss from the offset, is that it’s full of different faces. And I absolutely love that. Look one way and I could have been in south India again: dark skin, bright cloth, tamil phrases. Our taxi from the airport passed a sprawling Indian celebration of some sort – I suspect a wedding – spilling out from the Indian Palace restaurant, right over the street and into the 24hr McDonald’s forecourt. It was a see of sarees. Look the other way and there are shop fronts covered in Chinese characters, that would be any other city’s Chinatown. A whole host of languages are spoken, foods eaten, faiths followed, and cultures expressed. I suspect it’s probably quite like Mauritius, in that its colonised history, trading, and cultural exchanges between East and West has resulted in a melting pot of multiculturalism. Not that I would know, I’ve never actually been to the homeland. And then there’s Borneo. The third-largest island in the world and the largest island in Asia. Half of it is Indonesia, the other half of it is Malaysia, and it’s also home to that funny little nugget of sovereign state governed by a sultan that is Brunei, which I always thought was somewhere in the Middle East. Borneo was everything I had hoped it would be. A breathtaking example of our planet’s ability to stop us dead in our tracks with its utter gorgeousness. The cross-pollination of cultures and cuisines is an age old recipe for very good eating. 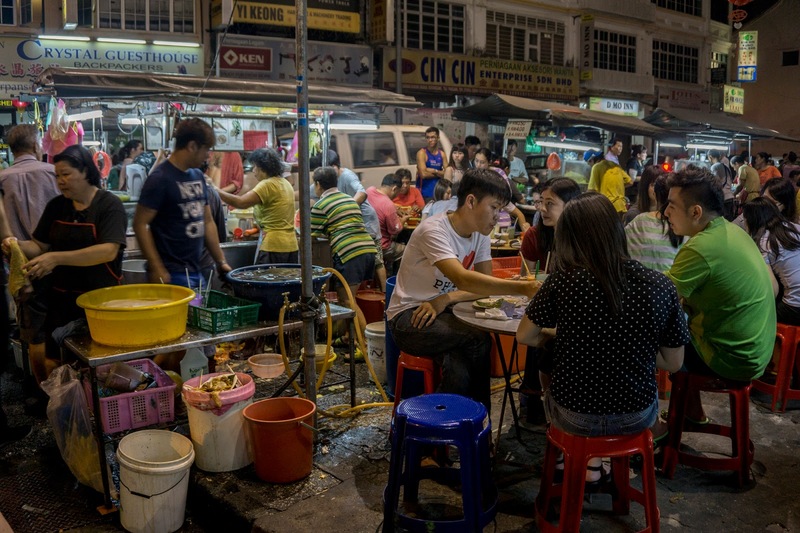 And there are few better examples of this than in the tight knot of ethnic diversity that is Penang, where arguably some of southeast Asia’s best hawker food (street food) can be found. 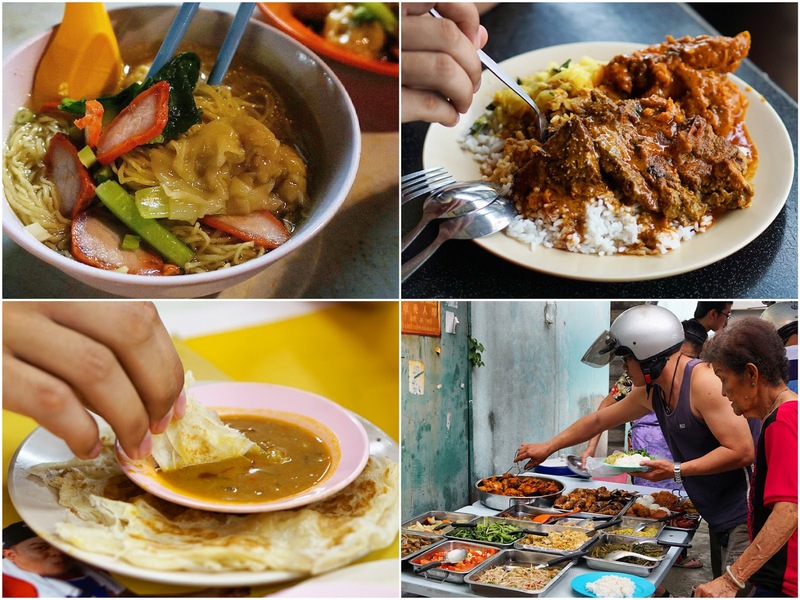 There’s a lot of it to seek out, and this very handy Penang Food Trail PDF, written by the Penang Tourism Board, is a great resource to get you started. A bumping Chulia Street in Georgetown lead us to some very good wan tan mee, egg noodles with wontons and BBQ pork. The wet version is in a broth, the dry sees the noodles and dumplings tossed in some dark soy. We got one of each, and added some pickled chillies. 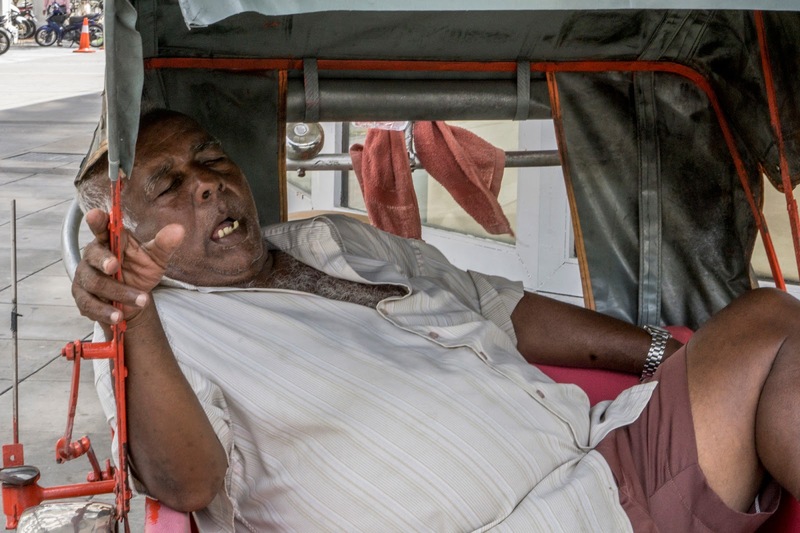 I’ve never waited as long as I did that night to give my order at a street food stall, it was that swamped. And I had to pick the busiest place, obviously. Here are the husband and wife team that made our noodles. This is a Penang dish from the Indian Muslim community. You select your curries from what’s available that day, they’re piled on top of rice, then splashes of various gravies are added. They’ll be served alongside some veg, here cabbage fried with turmeric, but often long beans. I chose beef, chicken and mutton curries, and they were rocking. They also had squid curry and fish egg curry, which are equally popular. Another Penang staple from the Indian Muslim community. It’s a type of Indian-influenced flatbread served with a little curry, often dhal, and available with either sweet or savoury toppings, like sardines, cheese, onions, bananas. 20p for one portion – we got a few. 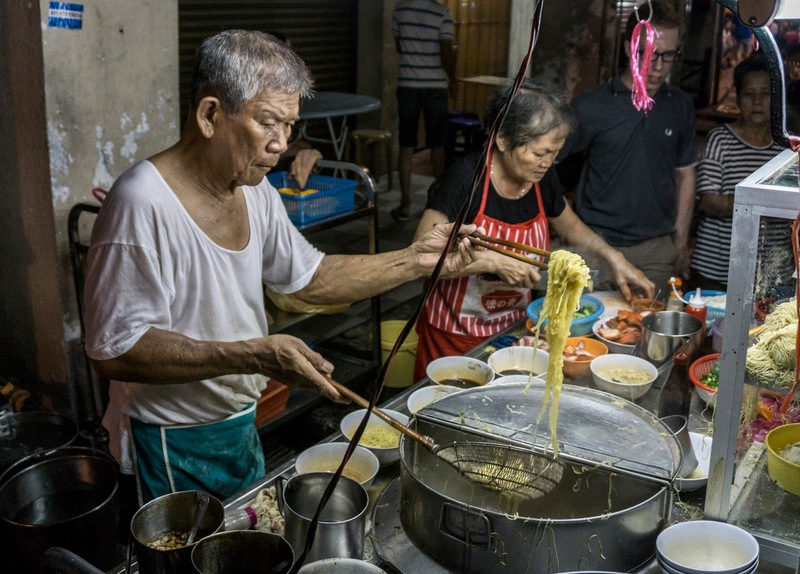 This picture was taken in the food court of one of the low cost housing areas in Penang, on the food tour covered below (see Street food must-eats). Economy rice is the name given for a collection of cooked foods, of which you can select as many different ones as you like, accompanied by steamed rice – a bit like an al fresco buffet. It’s good value, has variety, and is a great opportunity for the community to socialise. Another week and another food tour of epic proportions. 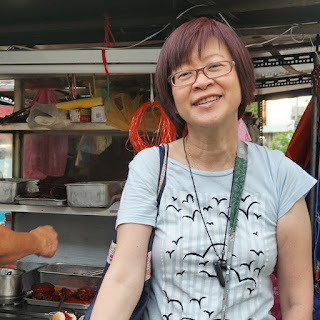 This time with the lovely Junie from Food Tour Penang which is part of Food Tour Malaysia, also found directing people towards the best things to eat Kuala Lumpur. My tour happened to be private just because no one else was booked in that day, but whether there are two of you or more, you are driven around to the different stops (in a car or van). The AC between all of the eating is very welcome, and it means you visit different areas in one evening that would be too far to reach by foot. We kicked off with dessert, as the place to get it closes at 5.30 – it was a spot on way to start. Chendul is shaved ice (literally ice shaved from a big block) in coconut milk, rice noodles made green from pandan leaves, and kidney beans. Quite fantastic and inordinately refreshing. While I was half way through that, an assam laksa turned up. Thick round rice noodles hiding beneath a spicy, slightly sweet, dark brown/orange broth made tart by assam (sour tamarind) and thick with disintegrated fresh mackerel fillets. Also in it, cucumber, pineapple, red chillies, red onions, and black sweetened shrimp paste. Junie then took us to a family run business at the Tan Jetty selling Nyonya (Chinese / Malay) prawn fritters and loh bak, which are pork marinated in Chinese five-spice powder, rolled up in bean curd skin, then fried. Moist and aromatic – strong snacking. 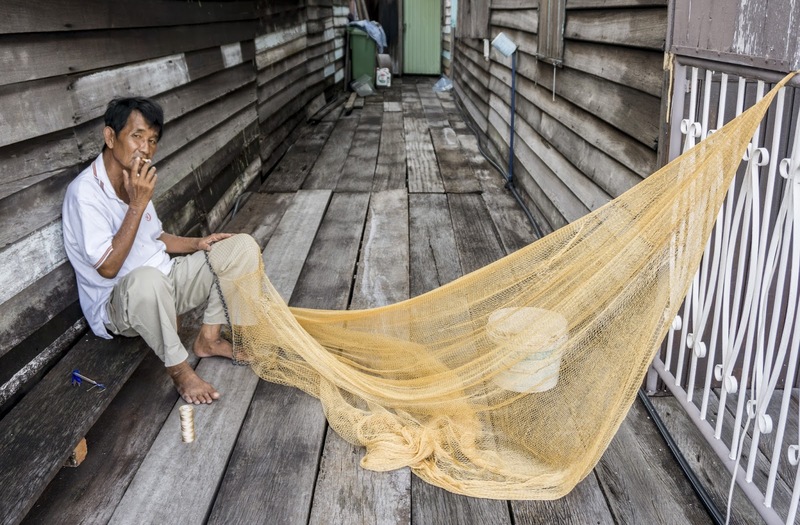 Again, around the Tan Jetty, there’s a family run shop that only sells fried fritters – a favourite tea time treat in Malaysia – for a few hours each day in the afternoon. They do goreng pisang (banana fritters), and also the three layered fritters pictured above, with sweet potato, New Year cake (glutinous rice cooked with sugar), and yam. These are Hokkien (south Chinese) style fresh spring rolls. All sorts going on here – juicy turnip filling, sweetness from prawn and crab meat, Chinese lettuce, sweet sauce, spicy sambal, and the skin is a sort of thin crepe. A crispy pancake made by layering the batter over a hot griddle and filling with roasted ground peanuts, sugar and sweet corn. Some customers also request an egg mixed in. 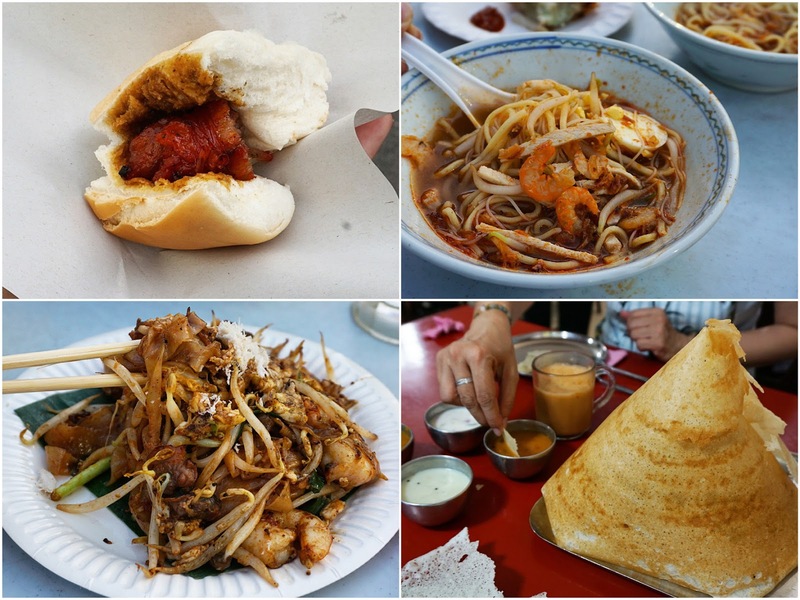 It’s a popular hawker food in Penang and sublime straight off the hot iron. Hokkien mee is a spicy soup of both egg and rice noodles in a stock made from prawn, dried shrimp, pork ribs or chicken. It’s garnished with sliced boiled eggs, prawns, leafy veg, fried onions, and chilli paste. Arguably Penang’s most famous hawker food, and my favourite from the tour, char koay teow is a savoury umami dream. Flat rice noodles are stir-fried with shrimp, cockles, Chinese sausage, eggs, bean sprouts, and chives in a mix of soy sauce. There’s a great charred aroma from stir-frying the noodles over very high heat in a well-seasoned wok. And that char seems to be a common factor in the noodle dishes I like the most, also seen in Thailand’s fried noodle dish, kuay teow kua gai (which I talk about in last week’s post), which is just as stellar. It was as if I were back in Madurai again; my first feel of south India since I left it in January. And it was good. All Tamil staff, wonderful curries with the dosa, and a sweet and fortifying frothy tea, going supremely well with the spice. 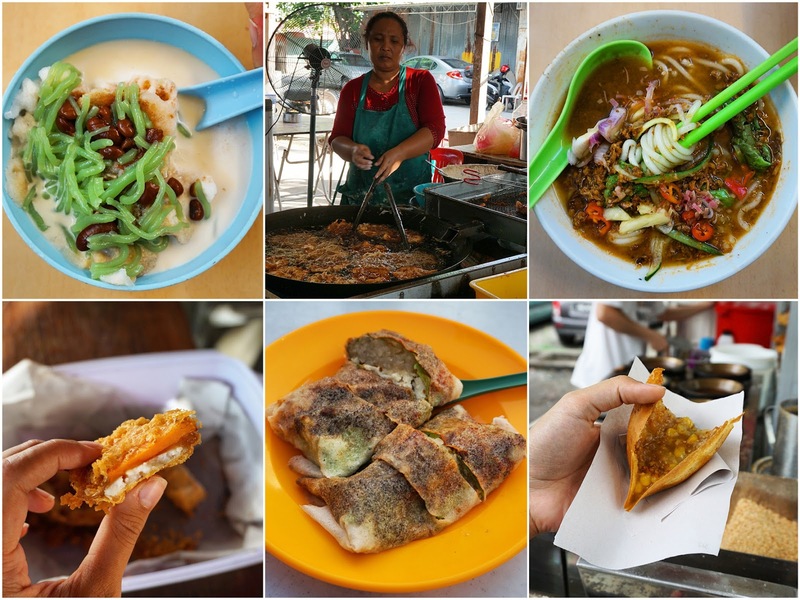 Penang’s hawker food scene is vast and encompasses a host of different cultures, cuisines, languages and locations. 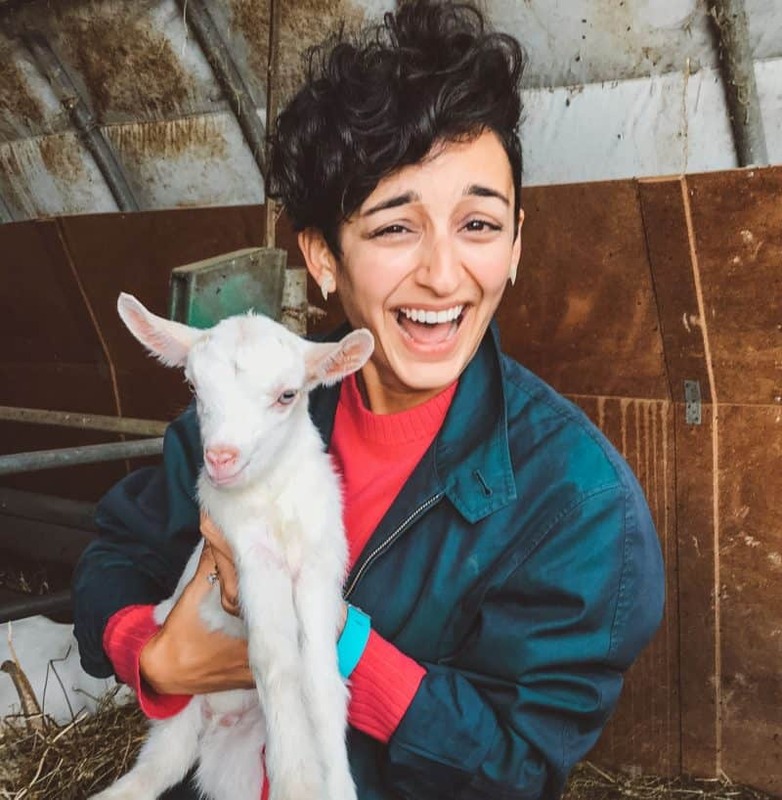 If you’re there for a limited time, a food tour like this is an excellent way to get a taste of most of it, with someone who knows the landscape taking you to the best places. Junie isn’t the only guide working at Food Tour Penang, but I can’t recommend her highly enough. She had full and informative answers to every question I threw at her, and the 4.5 hours we spent together flew by. 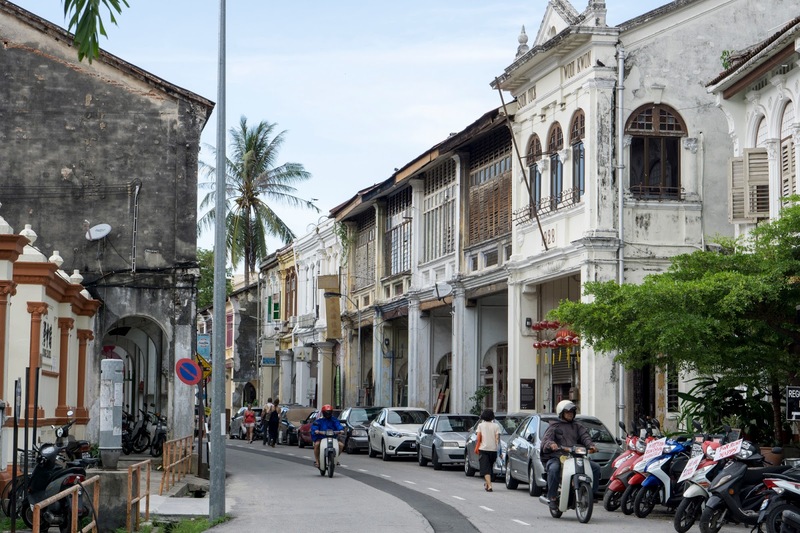 Tours with Food Tour Penang are held in groups, include private transportation, last for around four hours, and cost RM160 (around £29) per person. 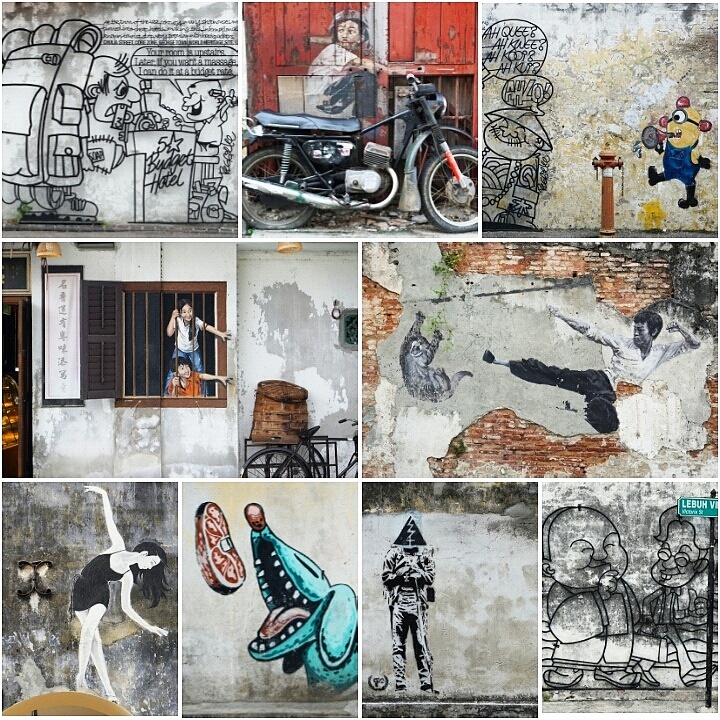 Note: This tour was kindly hosted by Food Tour Penang. All views are my own. 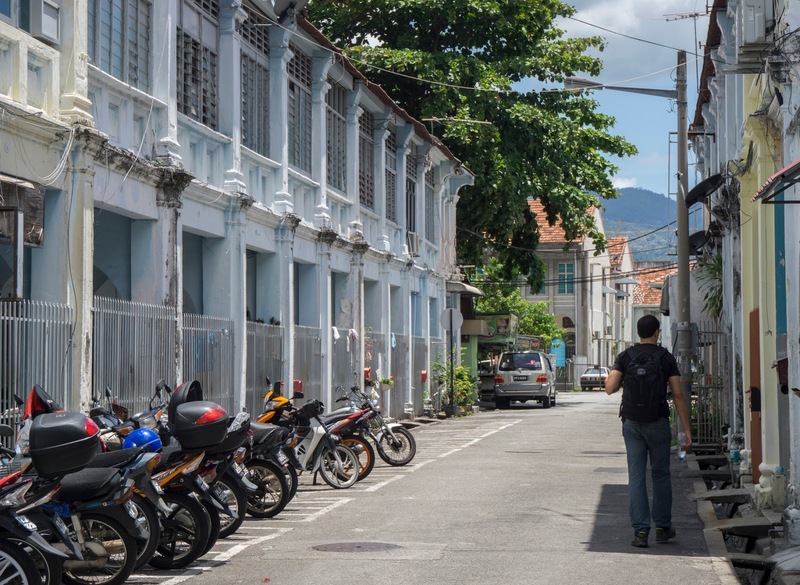 Penang is a superb example of different cultures and faiths getting along in close proximity just fine. Jalan Masjid Kapitan Keling road in Georgetown, affectionately known as ‘The Street of Harmony’, demonstrates this well, bringing together the town’s four religions. Take a short walk down it and you’ll come across an Anglican church, a Buddhist temple, a Hindu temple, and a mosque, all within a stone’s throw of each other. Its this multi-cultural heritage expressed in the variety of religious buildings of different faiths that’s part of the reason Penang obtained it’s UNESCO status in 2008. The peace and acceptance found amongst the people of this town is a strong message, and one the rest of the world could do with paying attention to. 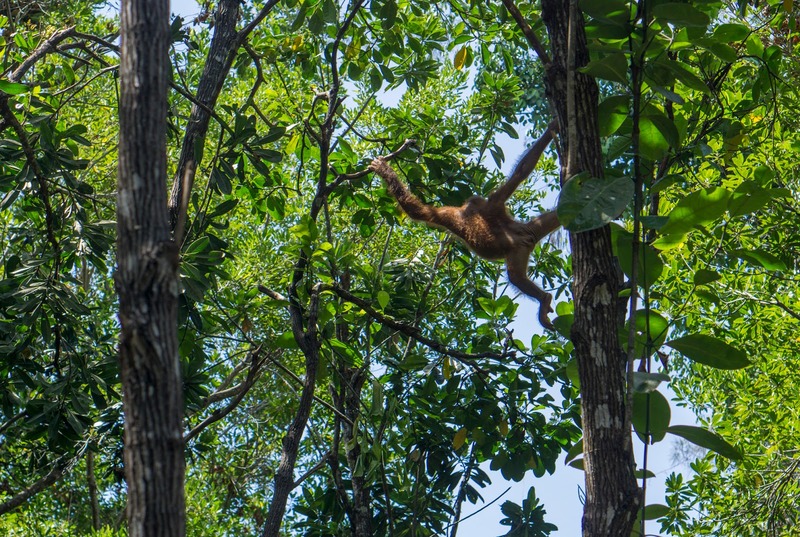 People who visit Borneo often have orang-utans on the agenda. There are a whole load of reserves and rehabilitation centres you can choose to visit (this is quite a useful run down of the good and the bad), but as the article states, many exist to serve mass tourism rather than to rehabilitate the apes. What I really liked about the orang-utan viewing at the Shangri-La (see Highlight below) is that it’s only available twice a day for about half an hour, so the animals are not paraded to a constant stream of tourists. When the viewings do take place, the groups are not large and are confined to stand on a single platform. 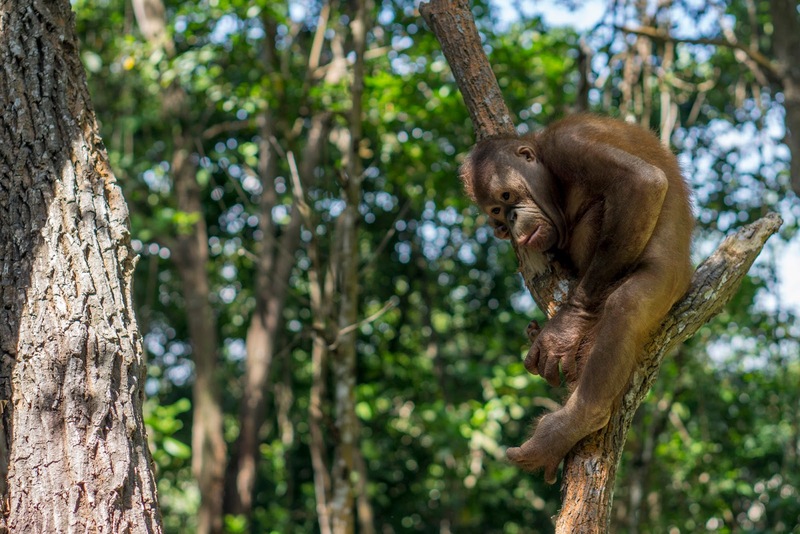 Outside of those feeding times, the apes are free to live up in the trees of the 64 acre jungle reserve without anyone bothering them, just as they would in the wild. Attending a feeding is available to those not staying at the hotel too. And I would say it’s probably one of the least intrusive orang-utan experiences available on the island, from what I have read online. The whole time in Borneo felt like one extended highlight. 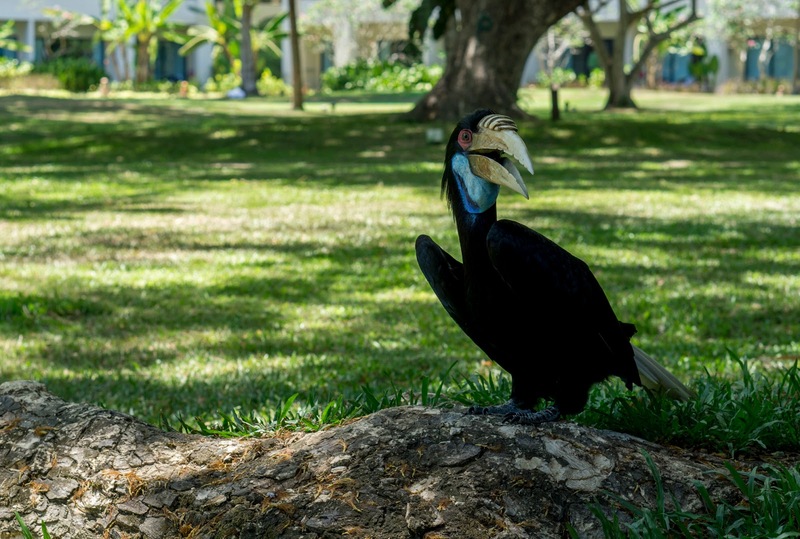 I loved everything about it – the wildlife, the stunning scenery, the exoticness of it all. 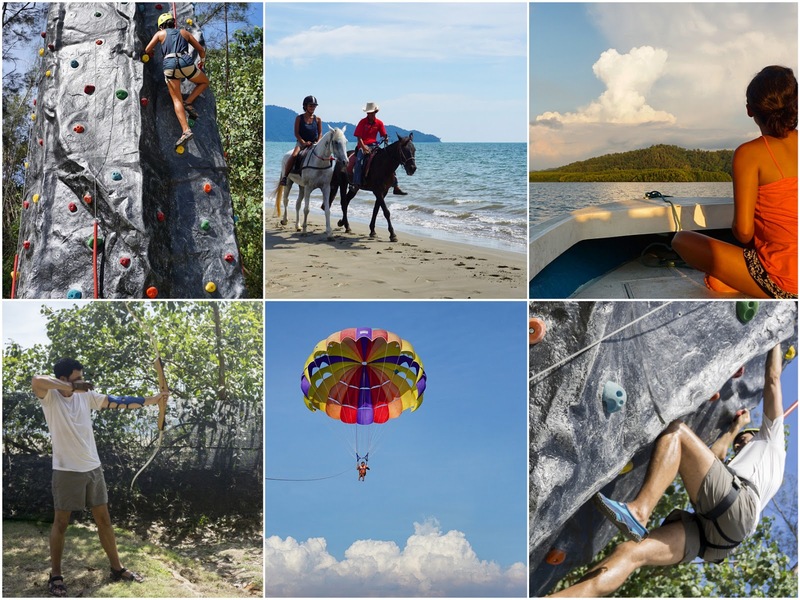 And a lot of that was down to staying at the Shangri-La Rasa Ria Resort (I’ll get to writing more about this stay in a few weeks), their unrivalled location, and the host of activities and trips they have available. There was a fantastic cruise along the Tambalang River and its narrow mangrove creeks at sunset, where we spotted long-tailed macaques, flying fish, a crocodile and an awesome view (see video below). We then took the firefly cruise straight after and visited the same waterways, this time in the pitch black. The skies were clear, with the dark shadows of the mangroves twinkling like hundreds of fairy lights, mimicking the constellations above. They were full of glowing fireflies, as if the stars had fallen from the sky and got caught in the trees. I’ve never seen anything like it, like something out of a film. Magical is definitely the word. If that wasn’t awesome enough, the next morning we attended an orang-utan feeding. 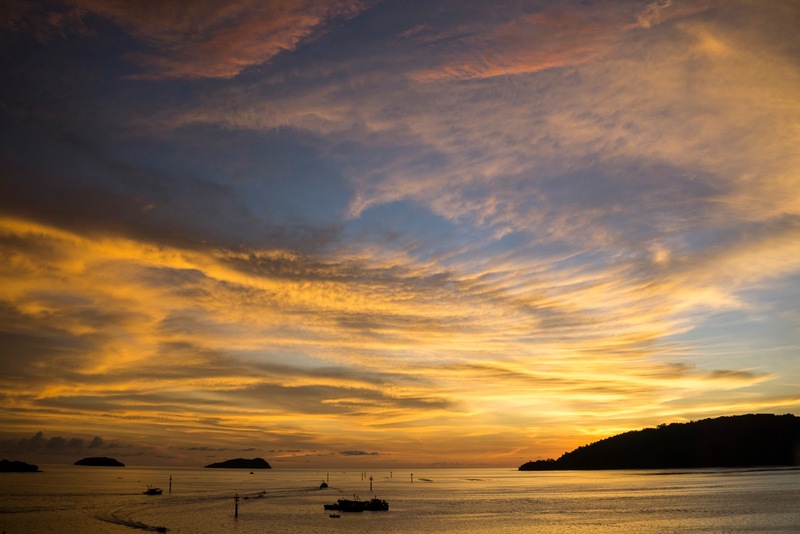 The Shangri-La Rasa Ria Resort have secured part of the Borneo rainforest as a 64 acre nature reserve, established in collaboration with the State Wildlife Department, which backs onto the hotel. It’s mission is to facilitate rehabilitation programmes for endangered species of faunas endemic to Sabah. 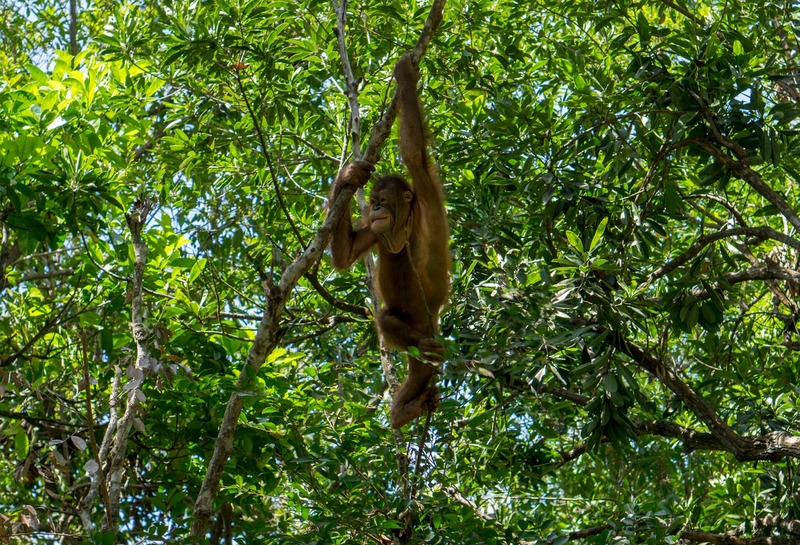 In it, there is a huge array of wildlife, including a load of long-tailed macaques, and four juvenile orang-utans. 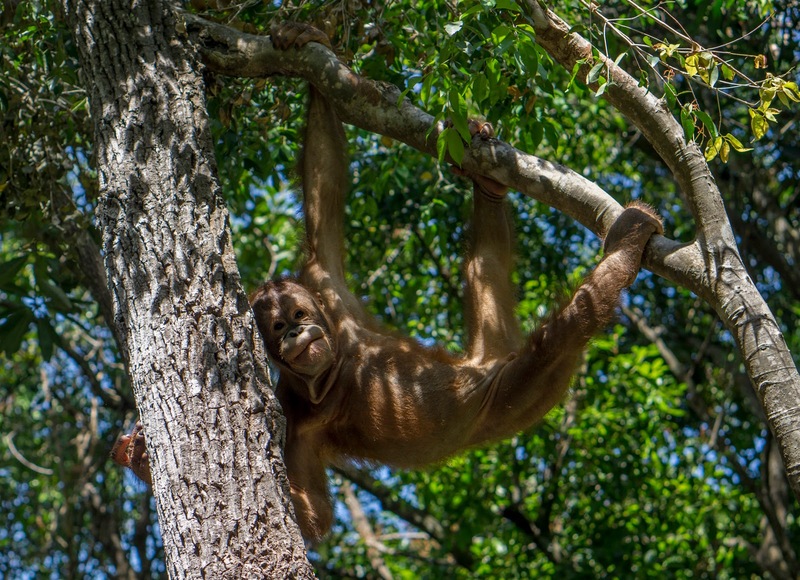 These orang-utans live freely but are protected and looked after by the reserve, which includes feeding. We stood in the near 100% humidity of the jungle absolutely drenched in sweat, the keeper calling out into the trees for a while, armed with a bin full of fresh fruit. After a few minutes, the high-up branches in the far distance started to rustle and sway, and from the tangle of dense treetop vegetation, this little guy emerged. He was swinging through the trees, from one arm to the other, like something out of The Jungle Book, then came right up close to check us out. One of his mates wasn’t far behind. Sitting cross-legged on the floor as a kid watching David Attenborough documentaries, I would dream of witnessing orang-utans living freely in their natural habitat. Therefore, this may have been my highlight of the past five months. Now here are a couple more pictures of these cuties. Because there can never be too many snaps of baby orang-utans. And then there was all the other stuff we did at the Shangri-La. Like I said, it was a good few days. I asked Matt to hold my bottle of water while I was taking a picture, and in his attempt to check the map on his phone to see where we were headed, his sweaty hands fumbled and dropped it, and the screen smashed. For someone who takes a lot of pride in never losing or damaging his possessions, he was very upset about it. So much so that he created a make-shift plaster to stick over the smashed corner, so he didn’t have to look at it. It still works. All is not lost. After five months, we bid farewell to Asia. It’s been pretty amazing. Next week we’ll be crossing the equator for the first time, and saying hello to Melbourne in Australia.